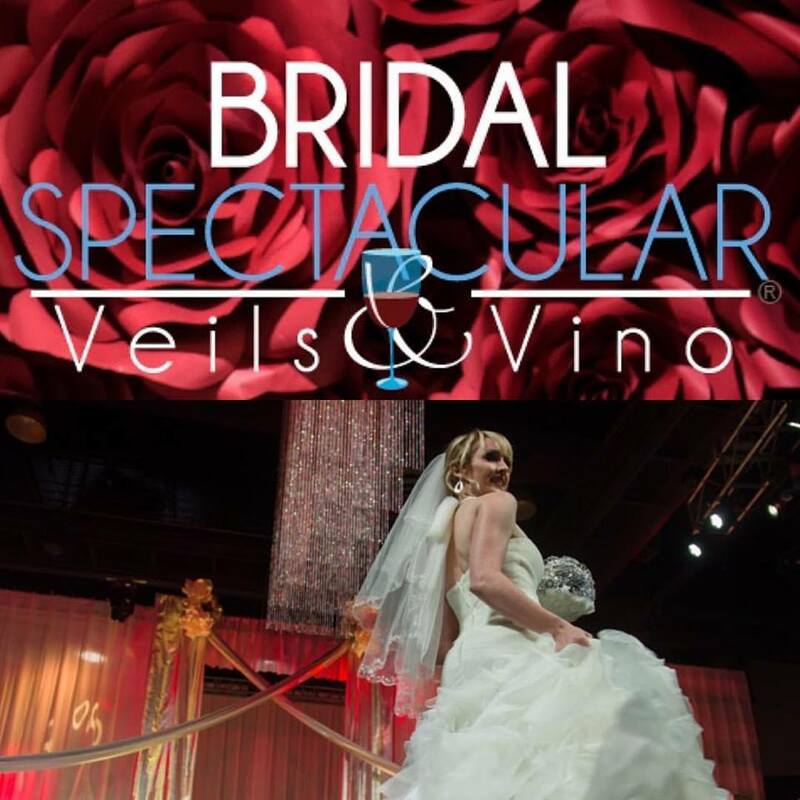 Spectacular Bride features wedding fashion captured by M Place Productions. 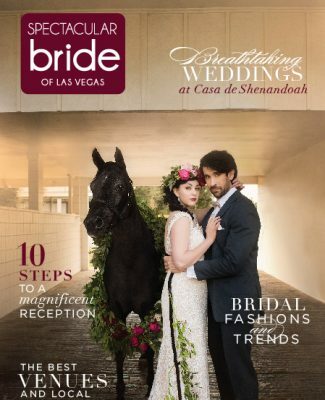 Behind every beautiful bride is a beautiful and majestic horse — at least when you get married at the breathtaking Casa De Shenandoah! 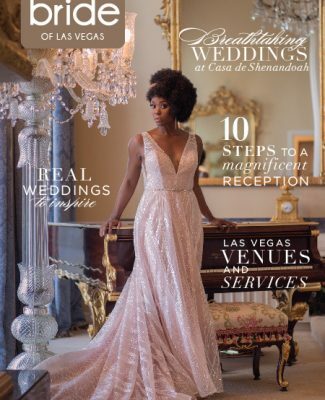 As featured in Spectacular Bride Magazine, M Place Productions flawlessly captured the perfect wedding companion, along with our stunning brides, amongst the picturesque grounds at Casa De Shenandoah. 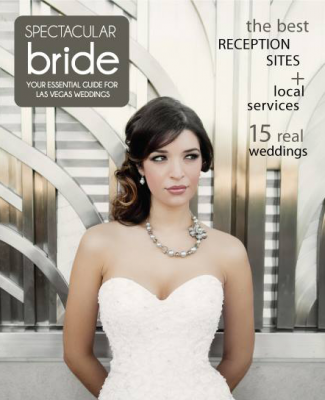 Each one of our lovely brides showcase a different look to fit just about any bridal style one could ever dreamed of. 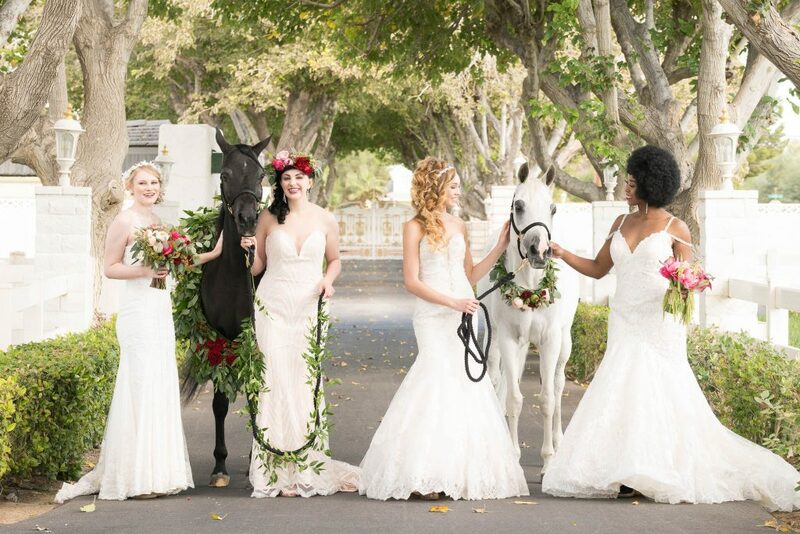 Meanwhile, the two striking horses are happily adorned with regal floral garlands created by the talented Enchanted Florist. 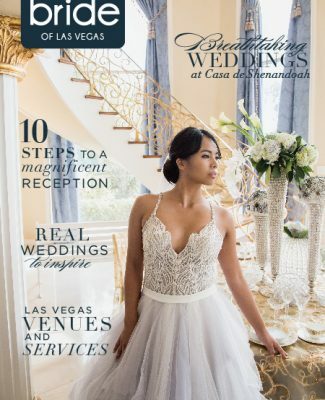 From left to right, Veronica boasts a whimsical wedding look wearing a romantic fitted wedding gown with gorgeous illusion detail and a dreamy white floral headpiece. 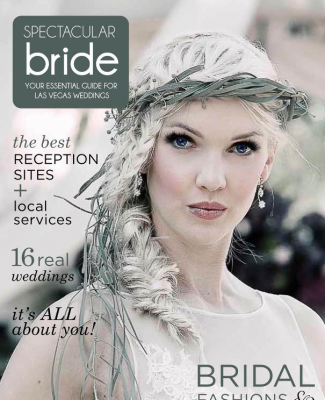 Next, our lovely bride Zelda is wearing a strapless wedding gown complete with allover lace and an exquisite floral crown created by Enchanted Florist. 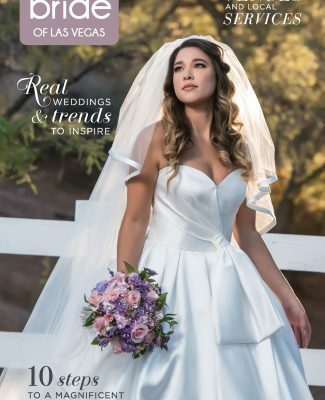 Following, Tristin is wearing a stunning trumpet gown with beaded detail paired with a breathtaking side-swept hairstyle and princess headband. 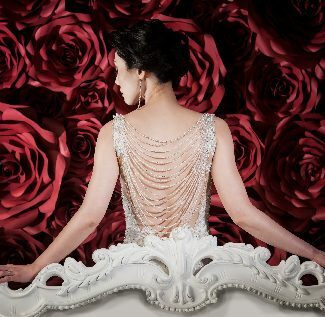 Last, but certainly not least, Jessica boasts a chic look wearing a cold shoulder trumpet gown with a sweetheart neckline and jeweled hairpin. 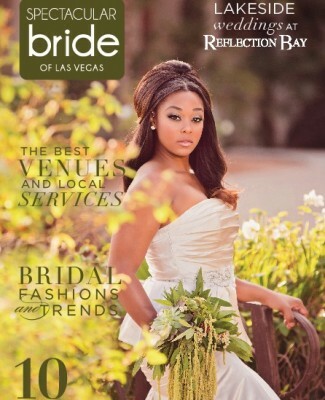 Makeup in the 702 created all of the brides’ dazzling updos and makeup and Silhouette Bridal provided all of their exquisite wedding dresses. 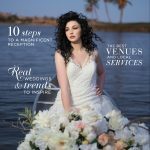 Launched from a personal passion in artistic and moving imagery, M Place Productions found their place in creating romantic images that people cherish and love for a lifetime. 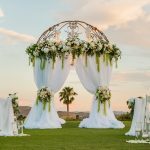 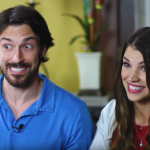 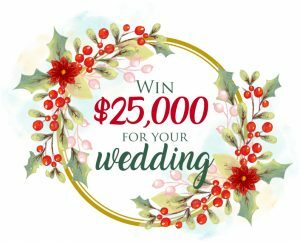 They understand that you have a lot of options available for your wedding — as such they truly care about their couples and strive to not only live up to expectations, but to also set new ones. 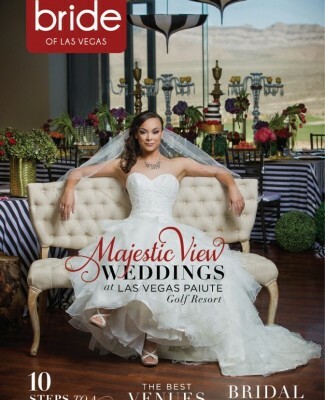 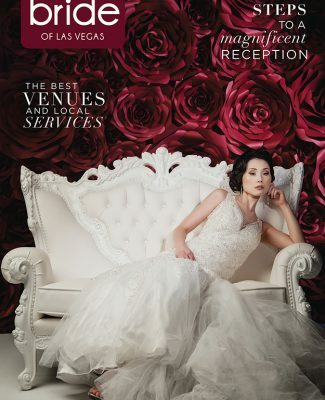 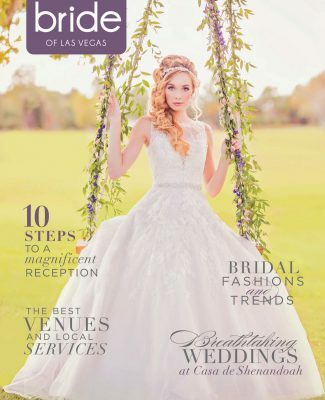 Spectacular Bride Magazine is an annual wedding magazine published by Bridal Spectacular Events, Inc. with four issues distributed quarterly featuring Las Vegas weddings. 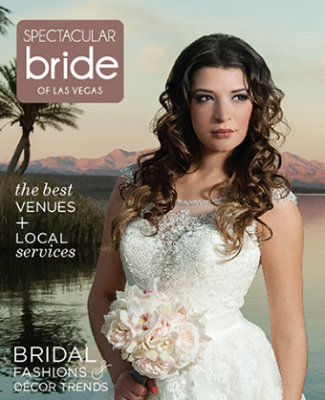 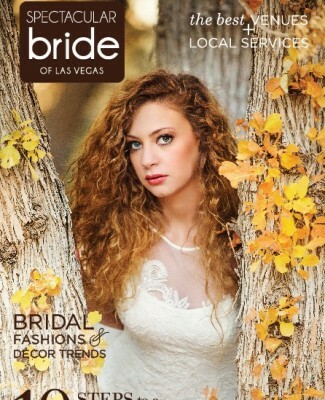 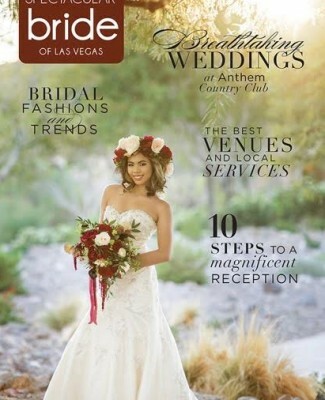 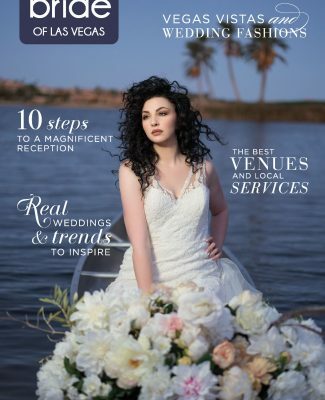 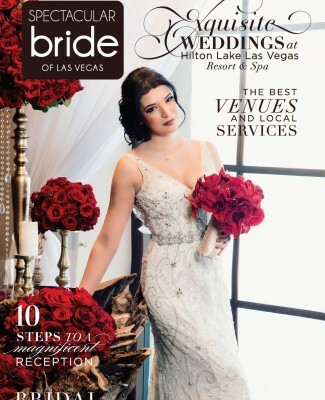 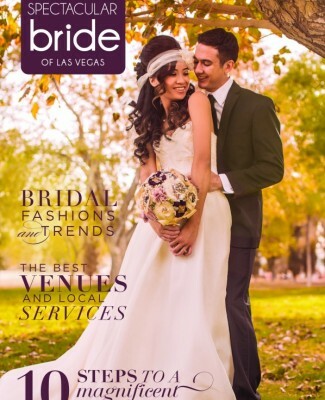 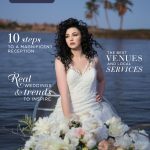 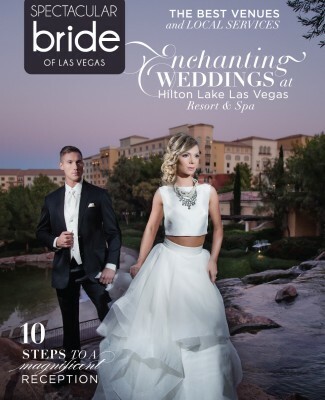 You can pick up your complimentary copy of Spectacular Bride Magazine at hundreds of locations throughout Las Vegas or request the latest issue online here. 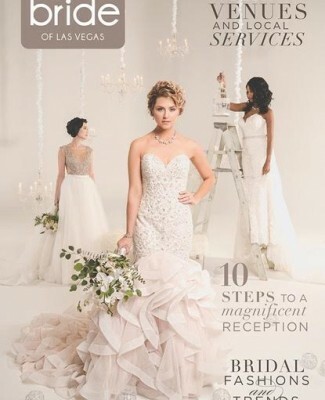 For more wedding planning ideas and inspiration, please visit bridalspectacular.com.